NCEMSF also recognizes 5-year milestone anniversaries starting with 10 years of service. Past winners and descriptions of each of the awards are shown in our hall-of-fame. The NCEMSF awards committee reviews all nominations. Awards are presented each February during the Annual National Conference. Nominations received by the Friday two weeks prior to the start of the conference will be considered for that year’s award. Only current year dues paying institutional members are eligible to receive NCEMSF recognition. Individuals nominated for individual awards need not be dues paying members to win, however, their institution must be up-to-date with its dues. No nomination forms exist for NCEMSF awards. Nominations should consist of a formal nominating letter making the case for the nominee and highlighting unique attributes that distinguish the nominee and convince the committee. Any appropriate supporting documentation should also be provided and referenced in the main nominating letter. Wherever possible submissions should be coordinated and all letters and supporting materials forwarded together as one comprehensive nomination. The quality of any one submission is more important than the quantity of letters received, especially if multiple letters all come from a similar source or share the same perspective. See each individual award description for additional specifics as well as the current conference year’s Web site. An organization may submit and win multiple awards. Self-nominating is permitted; however, supporting documentation is required. Submitted materials may be featured in future NCEMSF published media. All nominations and supporting material should be sent to the e-mail (preferred), fax, or postal address below. With the exception of the "Video of the Year" award, there is no need to mail hard copies of electronic submissions. The Striving for Excellence in Campus EMS recognition program begins with an institutional self-evaluation using the NCEMSF Striving for Excellence Packet. NCEMSF verifies the information submitted in the packet and presents organizations successfully meeting the standards outlined with this validation. Striving for Excellence organizations represent the gold standard for campus EMS delivery and care. They serve as benchmark organizations against which other campus based EMS groups should compare themselves. 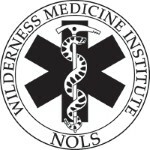 The recognition is available to operational EMS organizations of all types, whether providing quick response, basic life support transport, and/or advanced life support services. Striving for Excellence is a three-year certification. Recipients are acknowledged on the NCEMSF Web site and in the NCEMSF Comprehensive Database of Campus Based EMS Organizations. The National Collegiate Emergency Medical Services Foundation (NCEMSF) encourages and promotes community awareness of the potential for saving the lives of sudden cardiac arrest victims through the use of cardiopulmonary resuscitation (CPR) and increased public access to defibrillation. In order to increase this awareness, NCEMSF, with support from HEARTSAFE Communities, the American Heart Association, The Sudden Cardiac Arrest Foundation and industry partners, has developed an initiative to designate college communities as “HEARTSafe Campuses.” NCEMSF affirms that the cornerstone of any HEARTSafe Campus is a vibrant campus-based emergency medical response organization. The National Collegiate Emergency Medical Services Foundation EMS Ready Campus program is designed to recognize excellence in emergency management and disaster preparedness of collegiate EMS organizations. Additionally, the program provides a framework for the enhancement of emergency management education, overall campus preparedness, and response capabilities for the applicant organization. Organizations will have the opportunity to receive recognition through a combination of self-evaluation, dynamic interaction with NCEMSF staff, and by completing a group of prescribed tasks.